“Happy Farmers will change the world.” So reads Thay’s calligraphy. Farming employs over 1.3 billion people throughout the world or close to 40 percent of the global workforce. Many farmers and farming families struggle to make a living; they are in huge debt, and many farms close forever or are sold every day across the world. This struggle is due to many factors—perhaps amongst them are the industrialisation and globalisation of farming. The impacts of this modern reality on the well-being and mental health of farmers and farming communities are severe. As one of the farm coordinators for the Plum Village Happy Farm, we aspire to practice a new way of farming. Our little Happy Farm is a modest three-acre organic farm that grows a lot of the seasonal and organic food for the Plum Village community. On this small farm we aim to work with joy and ease, grow organic, seasonal and nutritional food, cultivate community, and live in harmony with our environment. The Happy Farm is unique globally. I have yet to discover anywhere that has taken our practice of mindfulness and “Engaged Buddhism” and mixed it together with this model of organic faming, engaged spiritual practice, and education whilst offering a green oasis—a spiritual refuge for the thousands of retreatants who visit annually. 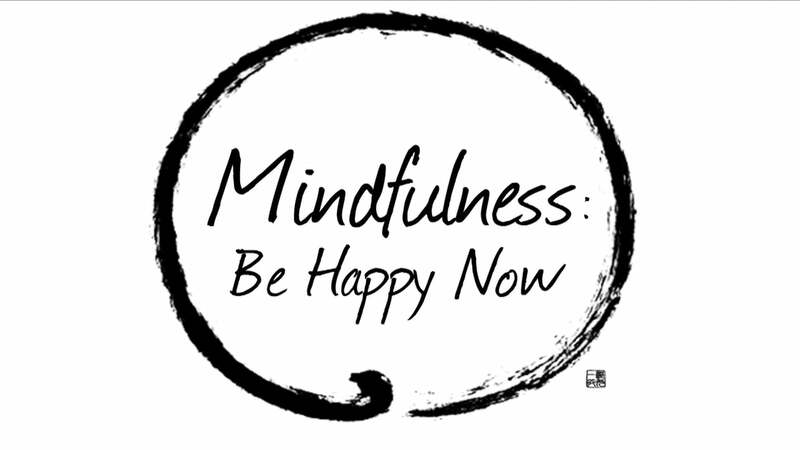 The Happy Farm is amongst many things an experiment in bringing mindfulness into a working environment. We practice as a team, a group of friends, and brothers and sisters. Together we practice stepping over the threshold of the farm just as we would when entering the meditation hall. We bring a sense of gratitude, respect and reverence to the land and to the farm. Alongside our daily work of growing the best quality food you can ever eat (homegrown food! ), we practice working mindfully together. Each working session begins with a short silent sitting meditation, and together we hold this space of contemplation on the farm to develop our mindfulness and concentration as we work together. We support each other practicing short periods of “noble quiet” each working day, where for an hour of each work session we limit conversation to just the necessary practical words we need to share with each other. We also have a beautiful mindfulness bell, which hangs in the herb garden at the centre of the farm. We invite the bell to sound every 15 minutes or so. When we hear the bell we practice stopping, laying down our work and enjoying our breath for a moment as well as reconnecting with our bodies, our friends and the beauty of nature on the farm. The idea is that we are cultivating a working environment that can exist with minimal stress and anxiety and offer our service or working meditation joyfully and peacefully (when possible!). This space is held throughout the year by the Happy Farm interns and facilitators for thousands of people who come to spend between one week and a few months each year on retreat and join us working and serving on the farm. We offer this space of practice on a weekly basis throughout the year. 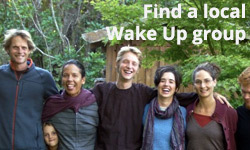 By mid-August each year, we are at the peak of our period of Summer service when we welcome 400 retreatants onto the farm as part of the Wake Up Earth retreat for young adults involved in the global Wake Up movement. The Happy Farm is also a space for education. One concrete example of that is our offering of educational and entertaining visits for the Children’s Programme during the Summer Retreat (it is entertaining for the Happy Farmers as much as we hope for the kids!). By the end of July each year, we will have welcomed over 400 kids from all over planet Earth onto the Happy Farm for interactive, hands-on sessions on organic farming. Education is not just for the kids but also for the retreatants who offer their help to us on the farm each year, and lastly and significantly, the team of annual Happy Farm interns. Many of these international interns will come with little or no experience in organic farming, but we hope that by the end of their one year internship they will have learnt enough to go off and start their own small organic farming project, wherever that may be on this green planet. The Happy Farm is only a small corner and project within the global Plum Village Community. We aim to make a difference by acting locally and thinking globally. Our aim is to practice Right Livelihood so that we can help reduce the suffering of living beings on Earth and reverse the process of global warming.